BURBANK, Calif., April 11, 2005 ? Have a wonderful crime with Nick and Nora Charles (William Powell and Myrna Loy), the world?s most popular, glamorous and sophisticated detectives, when Warner Home Video (WHV) introduces The Complete Thin Man Collection on August 2 ? star Myrna Loy?s 100th birthday. 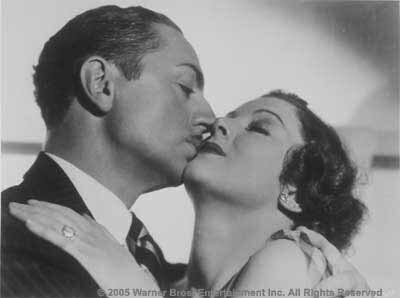 Since WHV released The Thin Man on DVD in late 2002, fans have been clamoring for the rest of the films in this series that delighted movie audiences over the course of thirteen years. Featured in the collection, in addition to the original Thin Man, are the DVD debuts of the other five classic films: After the Thin Man, Another Thin Man, Shadow of the Thin Man, The Thin Man Goes Home and Song of the Thin Man. 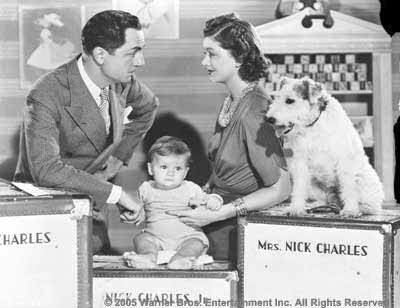 Available exclusively with the box will be a seventh bonus disc entitled Alias Nick & Nora, including two insightful documentaries, William Powell: A True Gentleman and Myrna Loy: So Nice to Come Home to. The DVDs are further enhanced with classic comedy, mystery and musical shorts, two radio dramas and a 1957 episode from the hit TV series based on the original characters with Peter Lawford and Phyllis Kirk taking on the roles of Nick and Nora Charles. The collection will be available in a seven-disc set for $59.92 SRP. The Thin Man will also be available individually for $19.97 SRP/$14.95 MAP. Orders are due June 28, 2005. 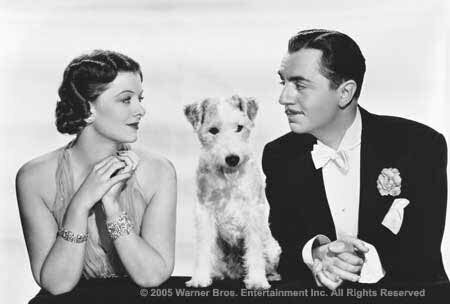 The sparkling series featured the irresistible Powell/Loy chemistry as husband and wife sleuths who solved murders with the aid of their wire-haired terrier, Asta. Set in the glamorous world of 1930s upper-class Manhattan, The Thin Man and its sequels established the standard for witty comedy, clever dialogue and urbane one upmanship. The first movie was adapted from Dashiell Hammett?s 1934 detective novel of the same name, allegedly modeled on the author?s relationship with longtime love, playwright Lillian Hellman. Shot on a very low budget in 14 days, the film went on to become a huge box-office smash, and earned four Academy Award® nominations including Best Picture, Best Actor, Best Director and Best Screenplay. Leonard Maltin describes The Thin Man as "the sophisticated comedy-mystery par excellence," a benchmark motion picture that still continues to be imitated today. The Thin Man also became a popular radio show, followed by the Lawford-Kirk television version in the ?50s. Among the "imitators" over the years are television husband/wife sleuthing couples in McMillan and Wife (Rock Hudson and Susan Saint James), Hart to Hart (Robert Wagner and Stefanie Powers) and Woody Allen's part-homage film Manhattan Murder Mystery (1993) which starred director Allen and Diane Keaton as the Liptons who were modeled after Nick and Nora Charles. William Powell began his acting career on Broadway in 1912, ten years before moving to Hollywood to appear in scores of small parts in silent films. Unlike many silent screen actors, he had a fine voice and stage training, both of which helped his smooth transition into "talkies." His portrayal of detective Philo Vance in The Canary Murder Case made him a star in 1929; and five years later, Powell became truly famous as detective Nick Charles. After receiving an Academy Award nomination for The Thin Man, Powell starred in The Great Ziegfeld, 1936?s Best Picture winner. He received his second Academy Award nomination for My Man Godfrey (1936) and his third for his work in Life with Father (1947). His last film role was one of his best, as the beloved "Doc" in Mister Roberts (1955). Powell first co-starred with Miss Loy in Manhattan Melodrama (1934), and the two went on to make a total of 14 movies together, becoming one of the most popular screen teams in Hollywood history. Myrna Loy, who began acting at the age of 15 when she appeared in local stage productions to help support her family, also had to wait until The Thin Man to earn her screen legend status. She moved from stage to screen with the help of Mrs. Rudolph Valentino, who spotted her in a play at Grauman?s Theater in Hollywood. Like Powell, she made a successful transition into the sound era but was continually typecast as a vamp until she finally landed two plum roles in MGM films: The Prizefighter and the Lady (1933) followed by The Thin Man. Her last film was TV?s Summer Solstice (1981). The character of ?the thin man? actually makes an appearance only in this initial installment. Young Dorothy Wynant (Maureen O?Sullivan) enlists the help of amateur sleuth Nick Charles when her inventor father (called ?the thin man? when his lean physique is exaggerated as an elongated shadow in one scene) appears to be a major suspect in a murder case. Nick?s blue-blood wife Nora wants him on the case so that she can experience some of the excitement herself. However, working-class Nick is reluctant to get involved until he sees that police Lt. Guild is coming to the wrong conclusions. Having had their Christmas holidays in New York interrupted by a murder mystery, the couple is looking forward to a quiet New Year?s Eve at home. Unfortunately, they arrive home to find a house full of uninvited guests, there to welcome the couple back home. And there?s another mystery brewing: Nora?s cousin?s philandering husband has gone missing, and scandal threatens her stuffy, socialite family. Nick could care less. He has no use for his holier-than-thou in-laws. Nora is concerned - and more than a little thrilled at the prospect of another adventure. This film introduces the Charles? baby, Nick, Jr. Adapted from Dashiell Hammett?s "The Farewell Murder," the mystery begins when the Charles family arrives for a weekend with a Long Island industrialist who fears someone wants to kill him; and, sure enough, his fears come true. Nick is among the suspects, Asta scrams with what may be the murder weapon and Nora sneaks off to a nightclub to ferret out a clue. The series? usual trademark delightful elements are plentiful and William Powell and Myrna Loy shine in roles they were born to play. Nick and Nora are at their wise-cracking best as they investigate murder and racketeering at a local race-track. Planning a day at the races, they arrive in time to investigate the murder of a jockey that leads to the killing of a shady newspaper reporter. Like all the "Thin Man" films, Shadow of the Thin Man offers a superior supporting cast including Barry Nelson, Sam Levene, a very young Donna Reed and a remarkable performance by noted stage actress and acting coach Stella Adler, seldom seen on screen. Nick and Nora return to Nick?s home to spend time with his family. Dad isn?t proud of his son because Nick didn?t become a doctor like him. Nora thinks Nick solving a case will earn Dad?s respect so she says Nick?s there to solve a case. Will one appear? Will Nick solve it? There?s an extra dose of humor in this movie which includes supporting performances from Lucile Watson and Harry Davenport as the parents, Gloria DeHaven as a drama queen, Leon Ames as a mysterious art collector and Anne Revere as the town?s crazy woman. Robert Benchley Comedy Short Why Daddy? Murder and all that jazz! In the sixth and final film, Nick and Nora sleuth a jazz-world slaying after boarding a gambling ship where a band leader has been murdered. Nick is drinking again after being forced to abstain from alcohol during his last case and the couple are accompanied by Nick, Jr. (played by then 11-year-old Dean Stockwell). Keenan Wynn, Jayne Meadows and Gloria Grahame are featured. 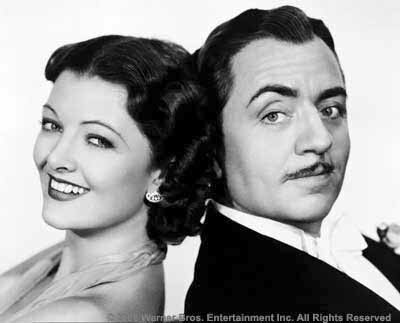 Alias Nick & Nora features two insightful documentaries, William Powell: A True Gentleman and Myrna Loy: So Nice to Come Home to. True Gentleman reveals the personal charm and humor that made Powell such an attractive romantic lead, handling beautiful women, bullets and bon mots with equal aplomb. In Myrna Loy: So Nice to Come Home to critic/filmmaker Richard Schickel creates and Kathleen Turner narrates a glowing salute to the dazzling, chime-voiced Loy, tracing via clips and commentary her passage from screen exotic to delightful sleuth/socialite and reigning queen of Hollywood, with a special a nod to her admirable work on behalf of UNESCO. In support of this promotion, a national media campaign is planned to include advertising in Time, Entertainment Weekly, Premiere, The New Yorker, Film Comment and Sound and Vision as well as select DVD online sites such as MysteryNet, IMDB, and Yahoo Movies. In addition, all Thin Man titles will be cross promoted on Turner Classic Movies (TCM) where news of their releases and product information will be featured on TCM's July Classic Movie News, Now Playing Guide and web site. TCM will also broadcast the Myrna Loy documentary in July. With operations in 89 international territories Warner Home Video, a Warner Bros. Entertainment Company, commands the largest distribution infrastructure in the global video marketplace. Warner Home Video?s film library is the largest of any studio, offering top quality new and vintage titles from the repertoires of Warner Bros. Pictures, Turner Entertainment, Castle Rock Entertainment, HBO Home Video and New Line Home Entertainment.